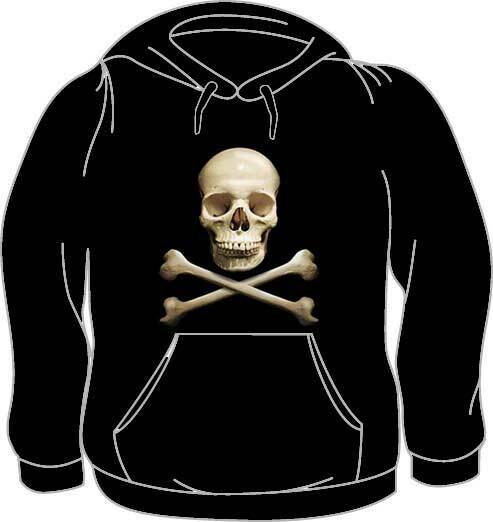 3D Skull Hoodie - If you like to walk around and show off your new hoodie with a cool skull design, then this product is just for you! Our 3D Skull Hoodie is under the Skull Hoodies section of our store. It is one of our favorite selections in the Biker Hoodies category of our huge collection of Hoodies. In a very popular design, this Skull Hoodie features Skull and a pair of bones printed in a design giving the feel of a 3D picture on its front. This soft and cool feeling t-shirt makes a great gift for the fan of Pullovers or Hoody. Our Skull Hoodie is made from a premium quality blank tee that is 50/50 Cotton-Poly Blend. This Biker Hoodie is incredibly comfortable and it is made to last. Our Pullover comes in the color of your choice from the options shown below and in sizes listed in the drop-down below. 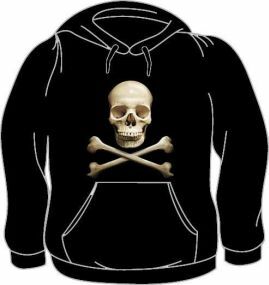 If you have any questions or suggestions regarding our 3D Skull Hoodie or any of our other Skull Hoodies within our Hoodies section or the Hoodies For Men category, feel free to send us an e-mail and include the product name and number.